(Phys.org)—A just published review by Australian and European researchers has highlighted the growing global environmental problem of increasing salt levels in the world's rivers. Co-author, Dr Ben Kefford from the University of Technology,Sydney Centre for Environmental Sustainability , said that salinisation has become a major global threat. "Salinisation threatens the health of rivers and the ecosystem services that humans derive from them. 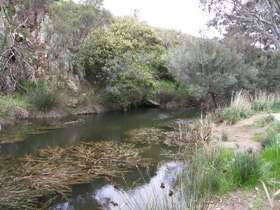 Our study shows that the increasing salt levels in freshwater river systems are causing severe biodiversity losses and may make it easier for alien and exotic species to get a foothold in these ecosystems," Dr Kefford said. "In low salinity rivers there is a much greater diversity of species, with each site having a different set of species, but as salinity increases the same limited set of species get found at all sites. Eventually if salinity increases enough the number of species at a site decreases." "High salinity levels are particularly detrimental to key groups of freshwater invertebrates the mayflies, stoneflies and caddisflies which are critical in the recycling of terrestrial vegetation like leaves that fall into streams and providing food for fish and birds ." Dr Kefford said that there were a variety of factors causing the worsening of human induced river salinisation but that in Australia the main causes were dryland and irrigation agriculture and mining. "Despite being out of the political spotlight salinization has not gone away in Australia and is still one of our most serious environmental problems. An emerging threat is the extraction of coal seam gas in Australia which threatens to be a huge source of salts," he said. The review, published in Environmental Pollution, highlighted that unlike Australia, where there are water quality guidelines (ANZECC 1992) for salt, in Europe salinity hasn't been perceived as a major problem and no such quality standards (EQS) exist. The researchers concluded that in the context of global warming and increasing human demand for water for consumption, agriculture and industry, that areas affected by river salinization will increase with potentially huge environmental and economic costs.
" in the context of global warming "
Another not-so-subtle plug for agw. Plugs like this open the door for further self-enrichment via agw research. You gotta' hand it to `em, the agw researchers have found a niche and are monetarily capitalizing on it, despite the end product being snake-oil. That's the American way...damn those capitalist bastards!